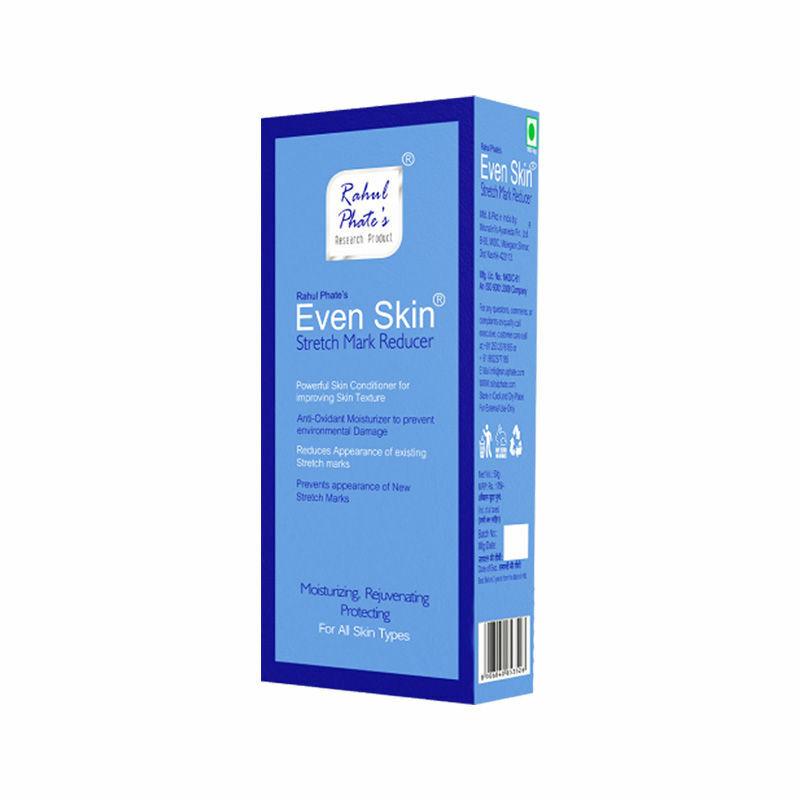 Rahul Phate's Even skin Stretch Mark Reducer is a deep tissue moisturizer that hydrates & improves the elasticity of the skin. It reduces the stretch mark through powerful rejuvenating action, and provide antioxidant activity as well as protection from environment pollutants. Effectively strengthens the skin making it heavily enough to fight against stretch marks. About the Brand: Rahul Phate's research products includes a wide range of Spa, Trichology and Skin Care products that are well known among beauty therapists and dermatologists and are quite effective in results. These herbal and ayurvedic skin care products are formulated keeping in mind, scientific concepts and are based on the ancient concept of ayurveda, blended with the modern concepts of cosmetology. These result oriented products help get rid of varied skin concerns like acne, hyper-pigmentation, wrinkles, hyperpigmentation, patchy skin, and provide flawless, blemish free, youthful appearance. Explore the entire range of Lotions & Creams available on Nykaa. Shop more Rahul Phate's products here.You can browse through the complete world of Rahul Phate's Lotions & Creams .